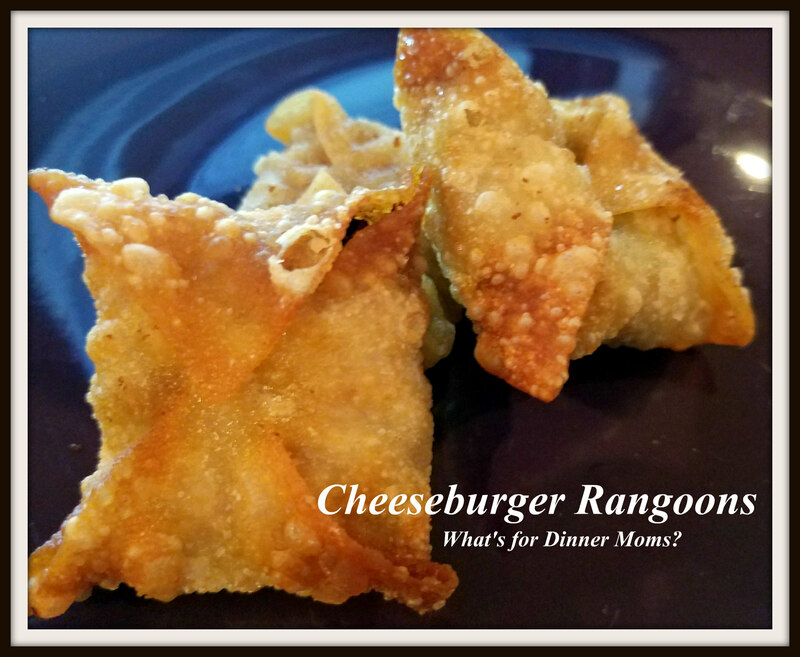 Cheeseburger Rangoons – What's for Dinner Moms? You know those meals you really don’t want to make so you try to find something that kind of excites you so you will cook dinner rather than go out? This was one of those meals. I had 1 1/2 of ground beef to use and did not want hamburgers, tacos, spaghetti sauce, basically any food that included ground beef. So, I kind of dug around in the refrigerator before deciding I wanted bar like food. It needed to be fairly easy and something different. Rangoons worked but I still had the ground beef. 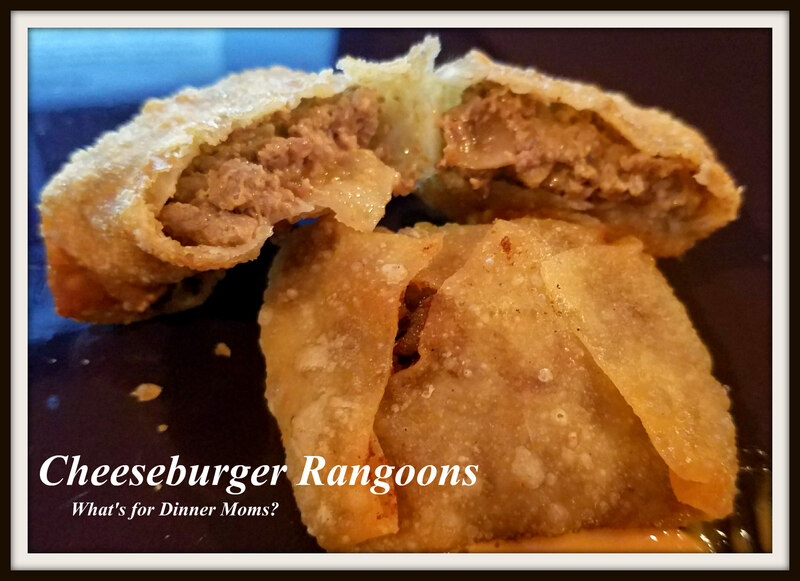 Cheeseburger Rangoons it is! Now these are not your traditional Chinese restaurant Rangoons. They are a combination of the cream cheese with cheeseburger ingredients so they are flavorful but also cheesy. They are more like an eggroll pocket but I put so much cheese in them I had to call the Rangoons. At first my family thought I was crazy. Notice the pattern here with my family when I try to introduce new things I am making up on the fly? They need to think about it and get comfortable with the idea first. When I throw new things at them it takes them a few bites to finally say, “Oh! I really like this!” This was one of those items. Ketchup, mustard, AND pickles in fried wrappers. My mother has finally lost it could be read on their faces before they took the first bite. Lets just say ALL of the rangoons were gone by the end of dinner and even my most skeptical daughter was a convert. We thought of all the ways we would like to make something similar – Buffalo Chicken with Bleu Cheese, Asian Beef, Greek Chicken with Feta – I am getting hungry again just writing about all our ideas. Brown ground beef and onion in large skillet; drain. Stir in Mustard, Ketchup and relish and bring to a boil over medium-high heat. Reduce heat to low and simmer 5 minutes. Remove pan from heat and add cream cheese and cheese to pan. Stir continuously to melt cheese into meat. Taste and adjust spices to your liking. We added more ketchup to ours and a bit of salt and pepper but adjust to what you like. Prepare Wontons by adding 1 tablespoon or so to the center of each wonton wrapper. Close by wetting wrapper and pulling up to center. Heat oil to fry each wonton in a small batch. Place cooked wontons on paper towels after removing from oil and then place in warmed oven to keep warm until serving. Serve with ketchup, mustard or Thousand Island dressing as desired. 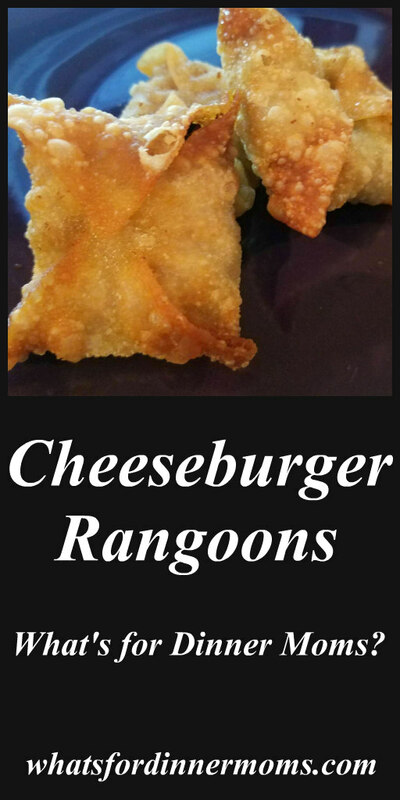 I would definitely like to try these, I had crab rangoons yesterday. As always, appreciating your creative cooking ideas! Oh, that sounds great!! I used to make similar dishes and this is a fantastic reminder!! I totally forgot about it! I haven’t heard about it.. 😮.